You know what’s essential to finding success with content marketing? Building your online presence strategically and consistently. As you construct your content foundation, your authority grows. As your authority grows, people’s trust in you grows, too. In short, building up your online presence is a process that eventually becomes profitable. So what can you do to encourage this growth? Ready to strengthen your online gravitas? Here are five hot content marketing trends, plus tips for implementing them. 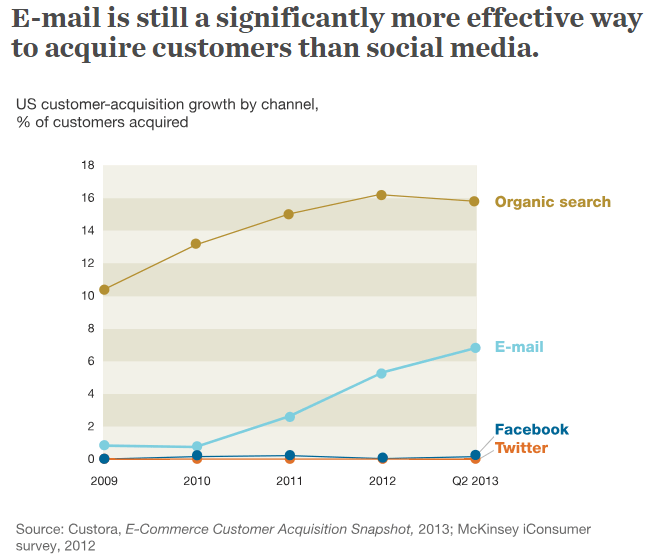 Email marketing continues to dominate because the inbox is the most direct way to organically reach your audience. According to data from Statista, in 2017 global email users numbered 3.7 billion. By 2022, that number is expected to spike to 4.3 billion. A staggering amount of people use and rely on email. In the U.S., at least 80 percent of us check our email daily. There’s huge potential in email. However, it’s only a heavy-hitter for your content marketing if you do email the right way. What does the right way entail? As a general activity, spamming isn’t limited to scams or valueless self-promotion. It also includes sending too many emails. If you bombard your readers’ inboxes on a regular basis, they won’t care about the relevance or value of the content. It will all start to bleed together, and they’ll start hitting “delete” instead of opening your missives. Office workers receive an average of 121 emails per day. And, according to a 2017 study by The Radicati Group, 50 percent of those emails are spam. That means, in an average month, office workers will receive over 1,500 spam emails (or, roughly 60 per workday). If just thinking about that stresses you out, you aren’t alone. So, don’t over-send. Email inboxes are already overflowing. Don’t add to the noise. Blogging is still extremely hot. It continues to be one of the most profitable content marketing activities from year to year. Build a list of readers. 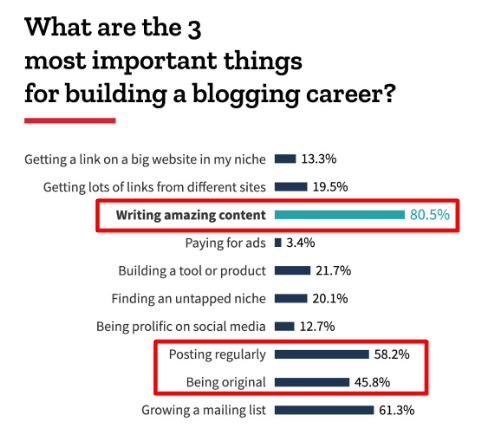 You need great, original content posted regularly to succeed at blogging, according to a survey of hundreds of bloggers by Blog Tyrant. And posting regularly helps build your traffic and leads, according to HubSpot’s benchmark study. 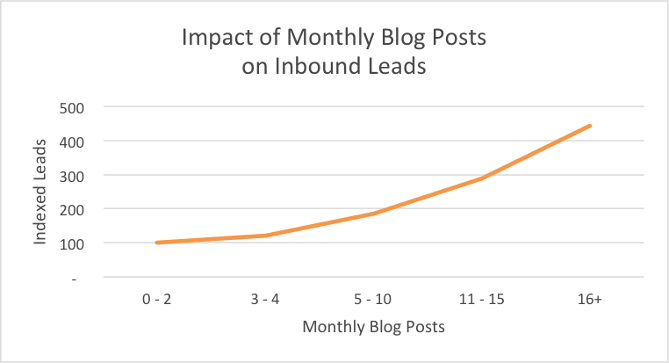 In fact, if you invest in blogging, you’ll see an average of 4.5 more leads than those who do no such thing. To see profit from blogging, you need to invest in all three. You need to be the best answer to the question your audience is asking. That’s the only way to elbow your way to the top and make your voice heard through the limitless, unrelenting noise online. Since blogging is still hot, what’s a good type of post to invest in, one that will strengthen your online presence? More specifically, expert roundup posts. According to the author, this post got over 4,000 shares even though he was not well-known in his niche at the time. 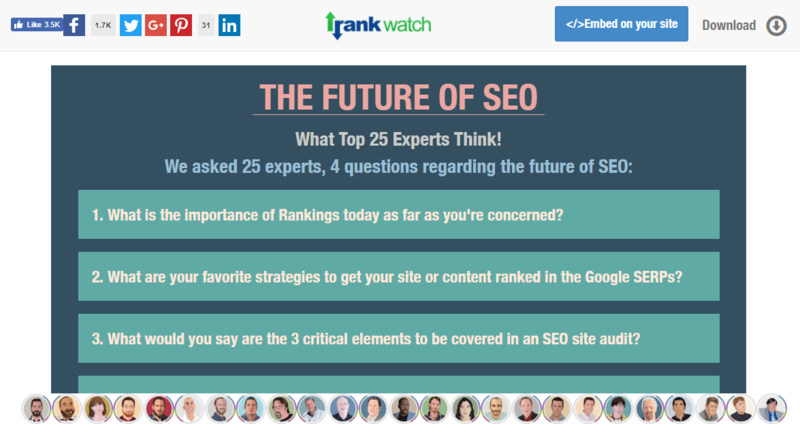 This roundup features top experts in the SEO field AND is presented in the form of a giant infographic. Shane Barker goes ALL the way in his roundups. They take weeks if not months to build. He’s even got a GIF producing little print images of the people he features. Why are these posts hot stuff? They generate lots of backlinks. This includes links from the very experts you’re featuring. Getting featured on someone else’s blog is a great way for them to build their own authority, so in a way, it’s an “I’ll scratch your back, you scratch mine” scenario. They’re easy to promote. 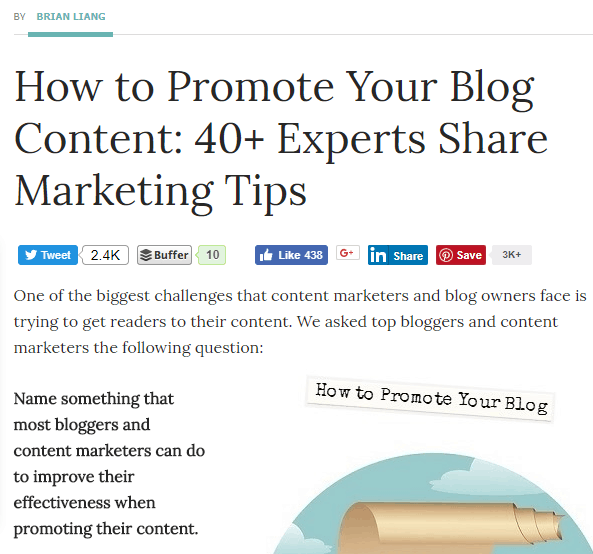 Once your expert roundup post is live, usually all you have to do is share the link with the contributors. In turn, they’ll share it with their own fans and followers on their favorite social media channels, and so on. They help build industry connections and establish your authority. 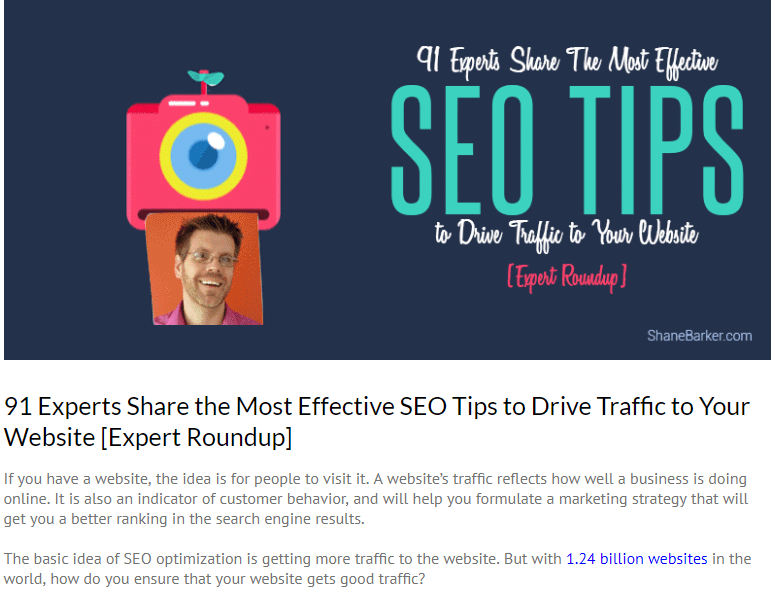 Creating an expert roundup post requires a fair amount of outreach. As you connect with these industry experts, you have a golden opportunity to network, build rapport, and establish a lasting, mutually beneficial relationship. Plus, when you publish the post, your readers will see who you have been connecting with and will associate you with them. Boom. Instant authority. You may have noticed something similar about the blog post examples above (besides the fact that they’re all really good roundup posts). They all go for it 100 percent. They don’t approach their topic in a half-hearted manner. They don’t phone it in. You can tell that each of those posts took tons of effort to create. There are custom graphics, research, interviews, and solid writing. That’s not to mention the sheer amount of time it must have taken to approach industry experts, ask them to contribute, and collect/organize their answers. Exhaustive content creation like this often pays for itself. The quality of the post you put out reflects the effort you put in, which naturally attracts more attention, leads, and conversions. Exhaustive, long-form content has gained a lot of steam this year, and this is absolutely why. So, don’t just create content. Go for it full steam ahead, 100 percent, all-in, pedal to the metal. 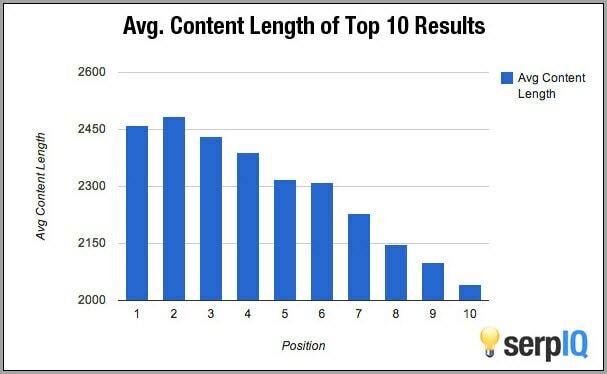 This SerpIQ study showcases why all-in content is a big deal – the average content length of posts in the #1 SERP spot exceeds 2,400 words. Personalized content is a major content marketing trend. This does not mean individual personalization on the micro level, which would be way too hard. It means personalization by audience segment, based on general data. Personalizing your content helps you cut through the masses of blogs, ads, and messages thrown at your audience daily because you’ll be speaking to them more directly. Writing blog posts specifically for one of your audience personas. Using dynamic content to customize calls-to-action, content blocks, or even images for specific niches. Personalizing your email marketing with the name of your audience member in the subject line and greeting. The stronger your online presence and industry authority, the better your content marketing will work. Once people know you, once people trust you, your content can really start to hit home. Content that pulls this one-two punch is better at converting traffic to leads, and leads to sales. So, start building up your gravitas. 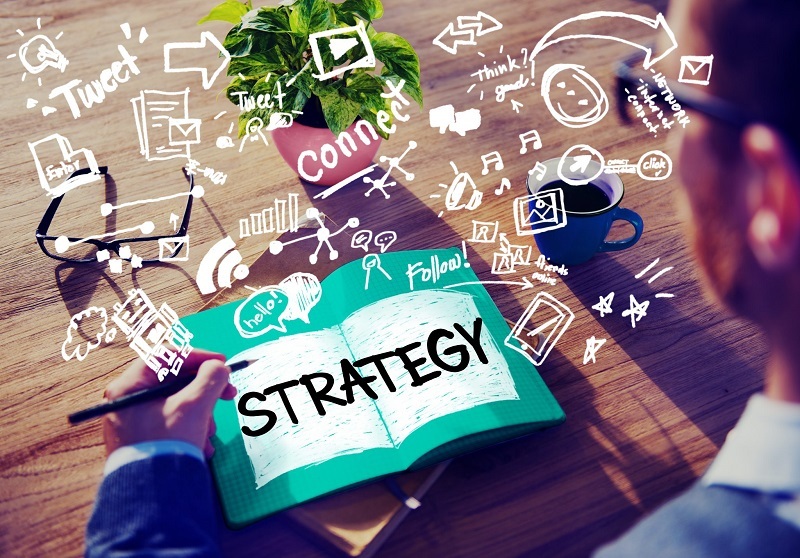 Implement these tips, and get more out of your content marketing.